What is a Fund Unit Price? When you invest into a managed fund, the investment amount that you deposit into that fund is placed into an investment pool with other investors money for your investment manager to trade. By investing your money, you then own an agreed percentage of that pool of money (the Fund). To determine what percentage of the fund you own, the total value of the funds under management is calculated and then the amount of money that you deposited into the fund is broken up into shares of the fund which is also more commonly known as units of the fund. The unit price represents how much each unit or "share" of a fund is worth. Managed funds are required by law to calculate the daily value of the fund and the individual unit price of the fund each business day. The fund’s value is determined by calculating the overall value of all the available funds and investments that the investment manager is trading each day. Once this figure is determined we then minus any daily expenses that the fund may have leaving us with the daily total value of the fund. Once this daily value has been determined, we then divide the total value of the fund by total number of shares (units) within the fund. This provides the daily unit price. If you invested $100,000 you would receive 100,000 units of the fund. Both the Retail and Wholesale Funds’ objectives are to provide investors with moderate to high portfolio appreciation over the medium to long-term period. This is achieved through active management strategies of the investment assets. The Funds will invest in a range of financial products that focus on global macroeconomics by holding both long and short positions. We will seek absolute returns regardless of market direction. Our strategy aims to identify medium and long-term trends and trend shifts, but to also vary position size given short-term technical indicators including sentiment and momentum. The strategy targets positive results over 12 month rolling periods. The Investment Manager’s advantage lies in correct assessment of broad valuation measures, macroeconomic environment, sentiment and economic forecasting. JB High Alpha Fund - an open-ended Investment Unit Trust that is an unregistered managed investment scheme. Broker and Clearing Services will be provided by JB Markets Pty Ltd and such other broker engaged by the Trustee from time to time. 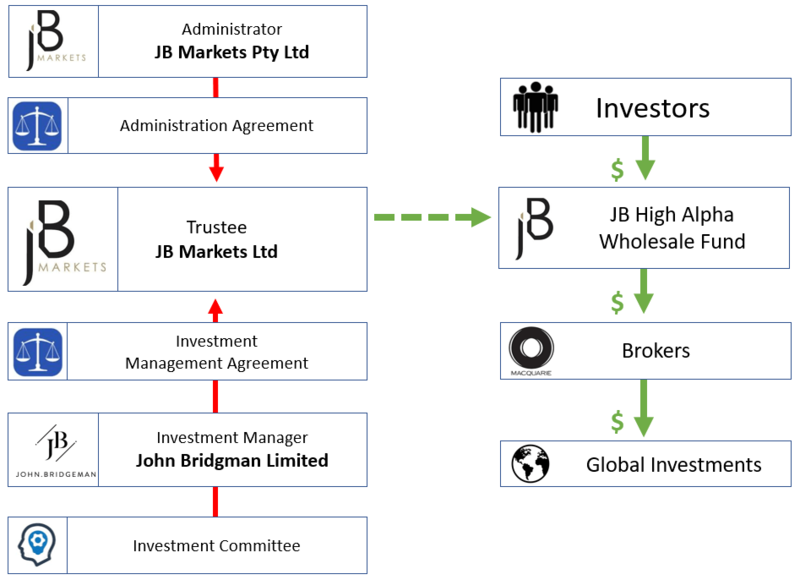 JB Markets Pty Ltd or such other party engaged by the Trustee from time to time. John Bridgeman Limited ACN 603 477 185, an authorised representative of JB Markets Pty Ltd (Representative No. 001008380). Minimum investment will be AUD 50,000 with additional investment in increments of AUD 10,000. The Investment Manager will seek to provide investors with capital growth over the medium term. The Fund will invest in a range of financial products that focus on Global Macroeconomics and, in holding both long and short positions, will seek absolute returns regardless of market direction. The Fund may invest in a wide range of financial products. However, it is anticipated that the Fund will predominantly invest and trade in global futures markets worldwide, across categories such as share indices, interest rates, currencies and commodities. The Fund will invest in exchange-traded futures contracts, listed equities and cash. 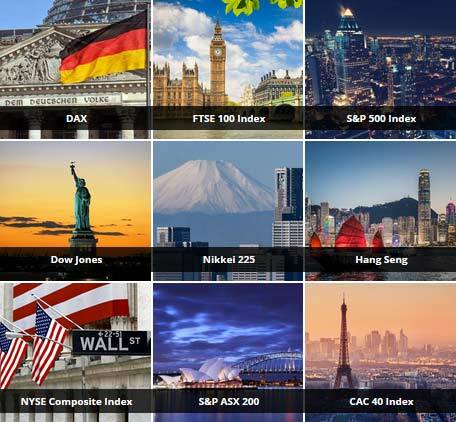 Typically, these indices will be broad-based and liquid developed market equity indices including the Dow Jones Industrials, S&P 500, FTSE 100, Nikkei 225, DAX, Hang Seng and the S&P ASX 200. The Fund will also take positions in the direction of global Government Bond markets and commodities such as gold or oil. 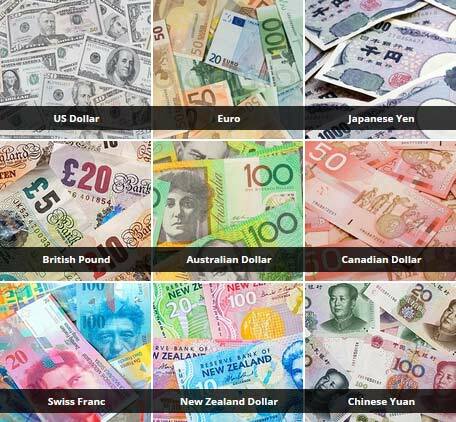 Currency exposure (or hedging) will be attained by holding a mix of cash balances in various currencies, such as Australian Dollar, Euro, US Dollar, Canadian Dollar, Japanese Yen and British Pound and/or through the trading of currency futures market contracts. Unless otherwise disclosed, the Fund may be leveraged to the extent it will not breach levels greater than five times the invested funds under management at the time of investment. Distributions of any income or realised profits generated will be automatically reinvested in additional Units at the prevailing Issue Price (without adjustment for the buy/sell spread), unless the investor elects to receive cash distributions. Redemptions will normally be paid within 30 days of a redemption request. The Manager reserves the right to decline any redemption request. A management fee will be charged monthly in arrears. The fee will be calculated based on the Fund’s net asset value (NAV) at the end of each month, payable in Australian dollars, and will apply at an annual rate of 2.0%. 23% of the increase in the Fund’s net asset value (NAV). Before any performance fee becomes payable, the Fund’s NAV must be above any previous high-watermark – calculated by reference to the NAV at the relevant quarterend reporting points. + 0.15% on applications - 0.15% on redemptions Nil on issue of units from reinvestment of distributions. The Fund allows investors to diversity their exposure across global markets and products and to generate potentially positive returns regardless of the general market trend. There are no capital raising fees; all invested funds will be working for you from day one. The Fund will predominantly invest and trade in global futures markets worldwide, across categories such as share indices, interest rates, currencies and commodities. The Fund will invest in exchange traded futures contracts, listed equities and cash. 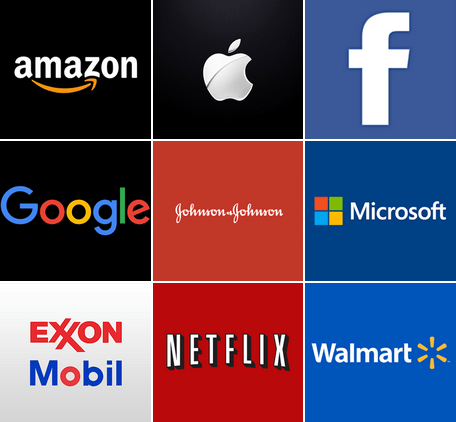 Typically, these indices will be broad-based, and liquid developed market equity indices including the Dow Jones Industrials, S&P 500, FTSE 100, Nikkei 225, DAX, Hang Seng and the S&P ASX 200. The Fund will also take positions in the direction of global Government Bond markets and commodities such as gold or oil. 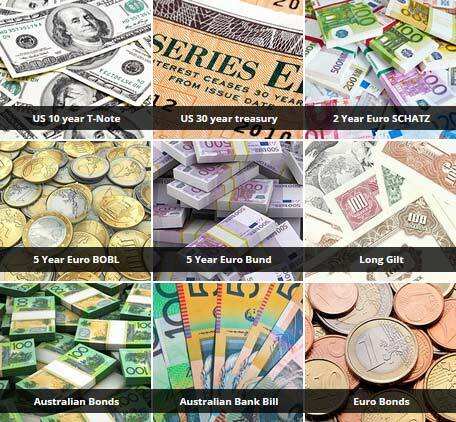 Currency exposure (or hedging) will be attained by holding a mix of cash balances in various currencies, such as Australian Dollar, Euro, US Dollar, Canadian Dollar, Japanese Yen and British Pound and/or through the trading of currency futures and options market contracts. The Investment Manager will seek to provide investors with capital growth over the medium term. The Fund will invest in a range of financial products that focus on Global Macroeconomics and, in holding both long and short positions, will seek absolute returns regardless of market direction. The Investment Manager’s advantage lies in correct assessment of broad valuation measures, macroeconomic environment, sentiment and economic forecasting. The strategy aims to identify medium and long-term trends and trend shifts, but to also vary position size given short-term technical indicators including sentiment and momentum. The strategy targets positive results over 12 month rolling periods. The Trustee will give Unit Holders written notice of any significant change to the investment strategy. The Fund primarily uses technical analysis to identify trend, momentum and other market conditions. A High-Water Mark is the the highest peak in value that our funds have reached. Using a High-Water Mark ensures that our investment managers are only paid on their performance if we exceed the Funds previous High-Water Mark. This means our investment managers do not get paid for poor performance. If our investment manager loses money over a period, they must get the fund above the previous historical High-Water Mark before receiving any performance bonus. This chart shows examples of when a High-Water Mark has been reached and when a performance fee has been achieved by the Investment managers performance (see examples: A, B, C, D & E). What is a wholesale managed Fund? A wholesale managed fund is a 'managed investment scheme’ where your money is pooled together with other investors by an investment manager (Fund Manager) who then buys and sells a diverse array of different investment assets on your behalf. This is ideal for investors who don't have time or knowledge to watch the stock market every day of the week. Do You Qualify to enter into a Wholesale Fund? Individuals - If you are applying as an individual you must qualify by law as a wholesale investor to participate in any type of Wholesale Managed Fund. A statement of advice (SOA) or Risk Assessment profile will be conducted on all Premium Share Price Members to see if you qualify to enter into wholesale managed fund. In order to qualify for a wholesale fund you may also be asked to provide us with an authorisation letter from your accountant, if this is the case you will be provided with a letter for your accountant to sign confirming you do meet all the required criteria needed for you to qualify to enter into a wholesale investment fund. You may also need to demonstrate you fit into one of the following criteria or you may satisfy the wholesale definition by other means. SMSF, COMPANIES or TRUSTS - If you are applying on behalf of a Self Managed Superannuation Fund (SMSF COMPANY OR TRUST must qualify by have monies equal to or exceeding $500,000 AUD to enter into a wholesale fund however you are not required to invest that amount. Investments may only be accepted from persons that qualify as wholesale clients under section 761G (7) of the Corporations Act and hence persons to whom the Manager is not required to give a Product Disclosure Statement under Part 7.9 of the Corporations Act. The following information is not an invitation to subscribe for Units in any place in which, or to any person to whom, it would not be lawful to make such an invitation. The distribution of this information in jurisdictions outside Australia may be restricted by law. This information may only be distributed or released to a person that is not in the United States. The Responsible Entity may use a wide variety of brokers to enter into transactions associated with securities and exchange- traded derivatives. The brokers used by the Responsible Entity will be located both in Australia and overseas depending on the nature of the asset traded. The brokers may also provide sub-custodial services for those securities where it is asked to trade. Any fees for these services are part of the Usual Expenses of the Fund. Macquarie Bank Limited is the Custody Clearing Services (Brokers) for all funds held undermanagement for the JB High Alpha Retail and Wholesale Funds. Macquarie Bank Limited is the major Custody Clearing Services Broker of choice for all funds held undermanagement for the JB High Alpha Retail Fund. A custodial account is a financial account (such as a bank account, a trust fund or a brokerage account) set up for the benefit of a beneficiary and administered by a responsible person, known as a custodian, who has a fiduciary obligation to the beneficiary. 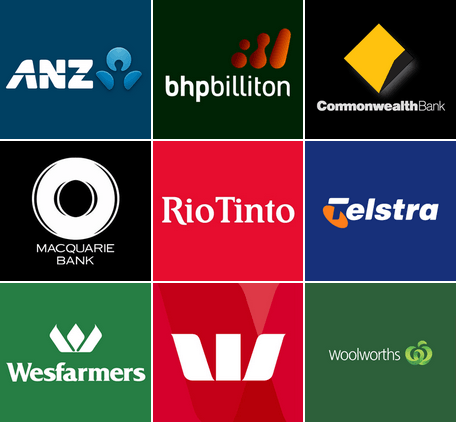 Macquarie Bank Limited is one of the world's largest infrastructure asset managers and is one of Australia's top ranked publicly listed companies (ASX:MQG) who employs more than 14,000 staff in over 25 countries. Macquarie holds a number of licenses enabling it to conduct activities in the jurisdictions in which it operates and is regulated by a significant number of regulators globally. In Australia, Macquarie Bank Limited holds a banking license and as an Authorised Deposit-taking Institution (ADI), is supervised by the Australian Prudential Regulation Authority (APRA), Australian Securities & Investment Commission (ASIC). Each month the JB Alpha High Wholesale Fund is audited by KPMG to ensure its unit holders have the latest audited information available for the Fund including the latest unit prices and performance updates. KPMG is a global network of professional accounting and auditing services that provide a full range of financial products across a wide range of industries. These include government and not-for-profit sectors. KPMG provides Audit, Assurance & Risk Consulting; Deals, Tax & Legal, Management Consulting and Innovation & Digital Solutions. KPMG operates in over 154 countries and have more than 200,000 people working in member firms around the world. The Investment Manager for both the JB High Alpha Retail & Wholesale Funds is John Bridgeman Limited (JBL) ABN: 55 603 477 185. JBL is a diversified investment management business listed on the National Stock Exchange of Australia. JBL is a corporate authorised representative of JB Markets Pty Ltd AFS Representative Number 1008380. The investment managers duties also include: working out all the investment products and strategies used with the investment portfolios, monitoring all the portfolio managers on a day-to-day basis and ensuring that all the investment objectives, strategies and parameters agreed to by the clients of the fund are being met. Share Prices Pty Ltd and Share Prices Funds Management Pty Ltd, are dual authorised advisory firms of JB Markets Pty Ltd and Share Prices Australia Pty Ltd for the purpose of providing the JB High Alpha Funds’ administrative and client services for the Funds unit holders. Share Prices Australia Pty Ltd also provides analysts, analytical research tools and other market data products for various trading strategies used within the two funds. What is the Fund’s strategy? The Fund runs a global macro strategy whereby it identifies investment opportunities through fundamental analysis, existing trends, prevailing conditions and the action of policy makers, analysis of international money flow and portfolio allocation. A global macro investment strategy utilises fundamental information and economic theory on key inputs including economic growth, inflation, interest rates, currency movements, global imbalances and changes in commodity prices to formulate forecasts and trends for different investment markets. For more information please refer to section 2 of the Information Memorandum. The Fund will encompass exposure to major indices such as the Dow Jones Industrials, S&P 500, NASDAQ 100, Nikkei 225, FTSE 100, DAX, Hang Seng and the S&P/ASX 200. Index Futures Contracts are leveraged products that allow the Investment Manager to take a view on the direction of the underlying index to which the contract relates. The Manager believes that an effective investment strategy requires a global approach because markets are interdependent with the actions of investors, central bankers, consumers and policy makers in one market having flow on effects, actions and reactions across many markets. What is the fund currently invested in? The investments within the portfolio can vary within a short amount of time due to the high turnover of the fund. The Fund is invested by Portfolio Manager within accordance to the mandate. What are the benefits of the fund? The fund gives investors exposure to global markets, diversification through multiple asset classes such as bonds, commodities, share indices and currencies. The fund also provides investors with uncorrelated returns to traditional asset classes with potential for positive returns in rising and falling markets. The Fund has appointed John Bridgeman Limited to manage the Portfolio in accordance with the terms and conditions of the Management Services Agreement. The Manager and its investment team have considerable experience in investment management across different geographies, sectors and industries. The Manager operates a specialist investment management business, and is listed on the National Stock Exchange of Australia under the ticker “JBL”. For more information please refer to section 6 of the Information Memorandum. Stuart McAuliffe, Managing Director and Chief Investment Officer of John Bridgeman Limited, has primary responsibility for the investment decisions of the Investment Manager. He is supported by a team of investment professionals who have skills and expertise across Australian and global markets. 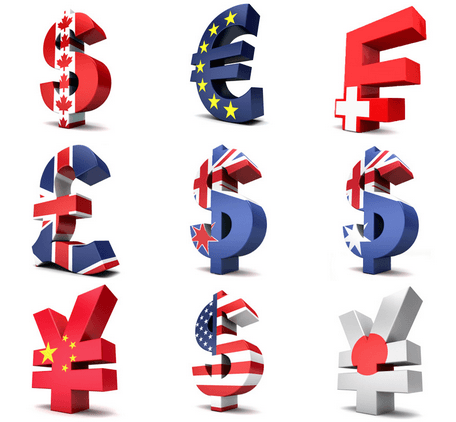 Stuart has over 25 years’ experience investing in global equity, bond, currency and commodity markets. He has pioneered innovative research into the correlation and causation between different global equity and currency markets over short, medium and long-term time periods. As the senior executive responsible for investments, he uses a ‘layered’ approach combining multiple time frame fundamental analysis with short term technical trading patterns to maximise returns while managing risk. What is the Fund’s yield? The Fund does not intend to pay a distribution as outlined in the Information Memorandum.. There are various risks. Investors should consider the Information Memorandum in its entirety including the risks outlined in section 3 of the Information Memorandum. This area shows fees and other costs that you may be charged. These fees and costs may be deducted from your money, from the returns on your investment or from the Fund assets as a whole. All fees and costs described in this presentation are expressed exclusive of GST, unless otherwise stated. Taxes are set out in another part of this document. You should read all the information about fees and costs because it is important to understand their impact on your investment. The Investment Manager is entitled to a Management Fee. The Management Fee is an expense which the Trustee is entitled to pay or be reimbursed for out of the assets of the Fund in accordance with the Trust Deed for the Fund. The total fee payable will be calculated based on the net asset value of the Fund (Portfolio Value) at the end of each month, in Australian dollars, and will apply at an annual rate of 2.0%. The Portfolio Value will be the daily weighted average of net funds under management of the Fund over the month for which the fee is to be calculated. The Management Fee is to be paid monthly in arrears. Underperformance is recovered where, and to the extent that, (AR + CV) is greater than (PV - AWA + AAM) in a quarter after an aggregate underperformance has accrued, which, for the avoidance of doubt, is zero if there has not been any underperformance or if all the underperformance that has occurred has been recovered, provided that PF is deemed to be zero for any quarter where PF as calculated in accordance with the above formula is a negative amount. there was no aggregate underperformance of the Trust prior to that quarter. This example is indicative only and the Performance Fee to be paid in the future is not known. These are estimated figures provided to assist you to understand how the Performance Fee is calculated and paid. They are not forecasts or representations in relation to the net value of the Fund’s assets or the net income of the Fund. Please see the IM presentation bellow for all other fees and transaction cost details. Applications to invest in the Fund must be for a minimum investment of AUD 50,000. Applications for more than AUD 50,000 must be in multiples of AUD 10,000. When an Application is accepted, the Applicant will be issued Units at the Issue Price at the date the Application is accepted. The Manager reserves the right to partially accept any application to invest in the Fund. Applications can be made by completing the Application Form below. All financial products displayed in this presentation are provided to you on the grounds that you accept that each of the products displayed may be provided to you via a directly affiliated company that works directly with Share Prices Australia Pty Ltd (ABN: 92 105 855 892) - Australian Financial Services Licence (“AFSL”) number 287367, trading as Share Prices. For the purpose of Fund Management Services, these services will be provided to you by Share Prices Funds Management Pty Ltd (ABN: 81 623 398 890 ) which is a corporate Authorised Representative (AR Number: 1263287) of JB Markets Pty Ltd (AFSL 323182) ABN: 81 123 876 291. For the purpose of Information Services, Customer Support and Account related services, these services will be provided by Share Prices Pty Ltd (ABN: 79 131 846 234) which is a corporate Authorised Representative (AR Number: 1263286) of JB Markets Pty Ltd (AFSL 323182) ABN: 81 123 876 291. For the purpose of Online Trading, advisory services and Advisor Support, these services will be provided by Share Prices Advisory Services Pty Ltd (ABN: 27 623 398 890) which is a corporate Authorised Representative (AR Number: 1263288) of The Market Bell Pty Ltd (AFSL 465937) ABN: 90 153 184 108. All of the above companies are also a dual Authorised Representative of Share Prices Australia Pty Ltd (AFSL 287367). Trading any financial products, including foreign exchange contracts, futures and cfd’s on margin, carries a high level of risk and may not be suitable for all investors. The high degree of leverage can work against you as well as for you its important to note that Any advice provided is general advice only including any form of recommendation services. Before deciding to invest in any type of investment you should be aware of all the risks associated with investing in Managed Funds, MDA’s, Stocks, Indexes, foreign exchange contracts, futures or CFDs. You should carefully consider your investment objectives, level of experience, and risk appetite. The possibility exists that you could sustain a loss in excess of your deposited funds and therefore you should not invest money that you cannot afford to lose and seek advice from an independent financial advisor if you have any doubts. The advice has been prepared without taking into your objectives, financial situation or needs. You should therefore consider the appropriateness of the advice, in light of your own objectives, financial situation or needs, before following the advice. If the advice relates to the acquisition or possible acquisition of a particular financial product, you should obtain a copy of, and consider, the PDS for that product before making any decision. Trading may carry a high level of risk that may not be suitable for all investors and past trading performance is not a reliable indicator of future trading performance and there is no guarantee that the performance of our analysts or trading teams in the future will be consistent with the performance in this presentation if any. Any performance comparisons provided in these demonstration do not take into account any brokerage, management or performance fees. The trading performances and unit pricing displayed in this demonstration are based off the JB High alpha wholesale funds investment managers performance. The JB High Alpha Fund and JB High Alpha Retail Fund can invest in a wide range of global investment products including local and International Stocks, Futures (Commodities), Indices, Interest Rates, Currencies, Cash and Government Bonds. Hover over the wheel below to see some examples of the types of products that are traded. The Fund vs Common Investments chart shown above is provided to display the historical performance of our Investment Managers performance within the JB High Alpha Wholesale Fund (the Fund). This interactive chart allows you to compare common types of investment products such as the ASX 200 Index, Stocks & Commodities along with a typical example of a Standard Term Deposit set at 2.6% per annum and an over all fund Profit Line. This graph represents the actual unit price performance of the JB High Alpha Wholesale Fund (“the Fund”) since its inception on 14 February 2017 to the last updated chart of 27th of August 2018. It is important to note that past performance is not necessarily indicative of future performance. The JB High Alpha Wholesale Fund is an unregistered managed investment scheme that is only available to wholesale clients. However, the JB High Alpha Retail Fund is a registered managed investment scheme and is based on the same trading methodology. Although the retail fund will utilise the same trading methodology, there is no guarantee that the same results will be attained. Past performance is not a reliable indicator of future performance. Please note that from 1 November 2018, the Fund removed its Management Fee and Performance Fee until further notice. As a consequence, the Fund’s performance with or without fees will be identical. Users need to be aware that, although the retail fund’s trading methodology is the same as that of the wholesale fund, the results will differ due to the fact that fees will be applicable. Although there are many benefits of using managed funds there are also risks associated with all types of investments. All investments have some level of risk. Managed investment schemes invest in a range of asset classes, for example, cash, bonds, equities and property, each of which offer different levels of risk. The likely investment return and the level of risk of losing money differs among managed investment schemes depending on the underlying mix of assets. Typically, those assets with potentially the highest return (such as derivatives) also have the highest risk of losing money over the short term. Fixed income as an asset class exhibits its own unique risks and is impacted by market volatility as well as a cross-section of structural, regulatory and issuer-specific risks. the appropriate level of risk for you will depend on a range of factors including your age, investment time frames, where other parts of your wealth are invested and how tolerant you are to the possibility of losing some or all of your money in some years. When deciding whether to invest in this Fund, you must decide whether, given the nature of trading undertaken by the Investment Manager and the Fund’s underlying investments, your financial situation permits you to participate in an investment that involves a medium to high degree of risk. Managed Funds do carry risks. You should carefully examine our Information Memorandum or PDS along with our Investment Strategies, Asset Allocations (Our Diversifications) and our Investment Manager’s track record before investing. The value of the Fund’s investments may fluctuate for a variety of reasons including changes in economic conditions, market sentiment, government regulations, political events, natural disasters, climate and changes in technology. The effects on the value of each of the investment products will vary and cannot be predicted with certainty. The Fund can be exposed to interest rate movements. Changes in interest rates may have a negative or positive impact, either directly or indirectly, on investment returns. 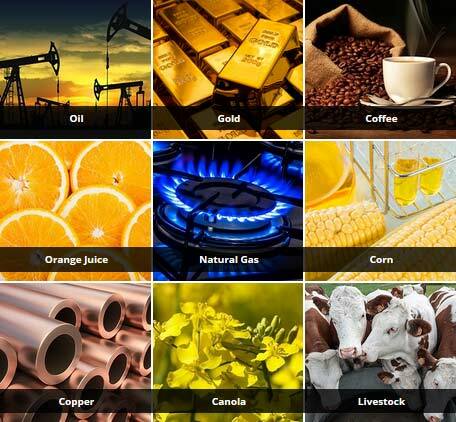 The Fund can be exposed to commodities markets. Commodity markets are generally more volatile. During periods of instability, commodities and the securities of producers often suffer extreme price fluctuations. Natural disasters and social factors can have a significant impact on prices, as too discovery of a significant new supply, new technologies and changes in laws. The value of derivative instruments is linked to the value of an underlying asset (or an interest rate, share index or other reference point) and can be highly volatile. While derivatives offer the opportunity for higher gains for a smaller initial cash outlay, they can also result in significant losses, sometimes significantly in excess of the amount invested to purchase the derivative. Risks associated with using derivatives might include the value of the derivative failing to move in line with that of the underlying asset, potential illiquidity of the derivative, a fund not being able to meet payment obligations as they arise, and counterparty risk (where the counterparty to the derivative contract cannot meet its obligations under the derivatives contract, although in an exchange traded environment, this is less). The Investment Manager ensures that there are sufficient liquid assets available in the Fund to meet costs and other liabilities under derivatives. The Investment Manager may use ‘short selling. Short selling means the ‘Fund sells a security it does not own to try and profit from a decrease in the value of the investment. This is generally done by borrowing the security from another party to make the sale. The short sale of a security can increase the risk of loss, as losses on a short position are not limited to the purchased value of the security. The Investment Manager expects the Fund will be liquid, and that withdrawal proceeds will usually be available within 5 Business Days of the date we process your request. However in some circumstances there may be delays. The Fund has exposure to investments located in overseas jurisdictions. This means the assets of the Fund are influenced by movements in exchange rates and interest rates, international political events and the potential for overseas regulations to be less robust than in Australia. The loss of a key person within the Fund’s investment process could impact the decision making ability of the Investment Manager. We are committed to ensuring that your information is kept secure and protected from misuse and loss and from unauthorised access, modification and disclosure. We use the internet in operating the Fund and may store records in a cloud system. If stored overseas, different privacy and other standards may apply there. Governments or regulators may pass laws, create policy, or implement regulation that affects the Fund, its underlying investments or the Investment Manager’s ability to execute its investment strategies. Such initiatives may impact either a specific transaction type or market, and may be either country specific or global. Such changes may result in the Fund failing to achieve its investment objectives. Similarly, laws affecting registered managed investment schemes (including taxation and corporate and regulatory laws) may change in the future, affecting investors’ rights and investment returns. Investing in a managed fund is not like investing directly in the underlying assets of the Fund. Investing in a managed fund may result in different income and capital gains outcomes when compared with investing directly. Additionally, the Fund could be closed, and your money returned to you at the prevailing valuations at that time, and we or the Investment Manager could be replaced. There is also the risk that someone involved with your investment (even remotely) does not meet their obligations or perform as expected, assets may be lost, not recorded properly or misappropriated, laws may adversely change, insurers may not pay when expected, systems may fail or insurance may be inadequate. No party including the Investment Manager can guarantee the investment objective of the Fund will be achieved. The Investment Manager may change the Fund’s investment strategy over time, to seek to ensure the investment objective is met or where it is of the view that the change is in the best interests of investors. We may change some aspects of the Fund over time, such as the fees and expenses we charge, or the rules that govern the Fund (e.g. notice periods or withdrawal processes). While we will give investors notice of any changes, such changes (for example, prior notice an increase in fees), changes such as this may adversely affect the performance of the Fund. *All performance results shown do not take into account any Trading, Performance or Management fees if applicable.